Without a doubt, summer is when having a house in France is less folly and more jolly. 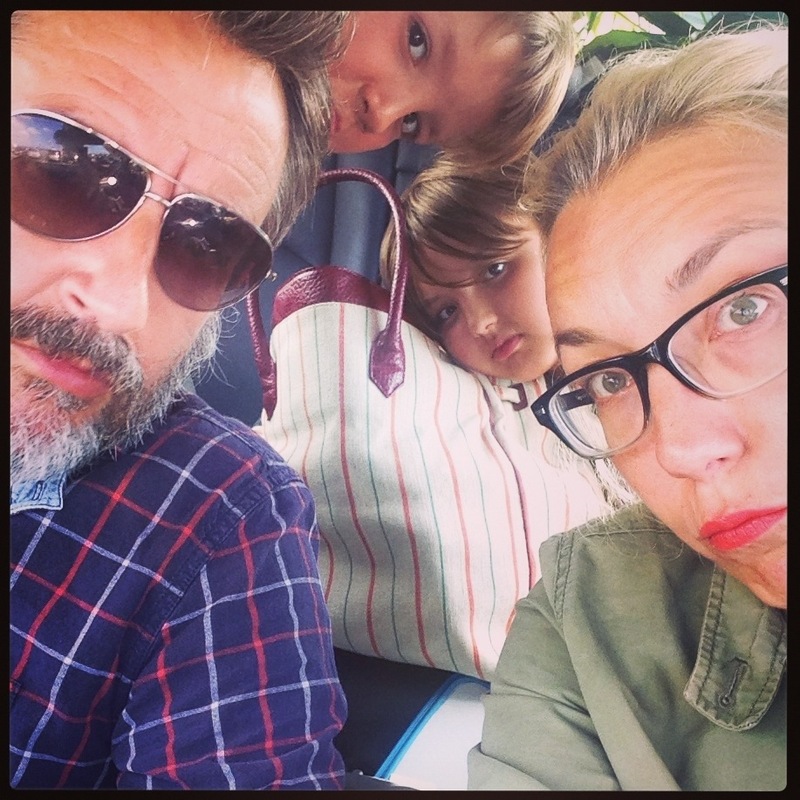 The prospect of weeks with no school, constant sunshine, a pool to splash about in, ice cream and crazy golf means we pile into our knackered and dirty estate car like kids going on a school trip! And this is despite a 14 hour drive ahead of us. And once we’re through the Euro tunnel, we get Virgin Radio blaring (as Peter insists on Radio 4 when anywhere within reception – he did once manage to even get crackly, faint reception for Gardners Question Time somewhere around Calais, but once we hit the motorway, the boys and I take over). And after twelve hours of listening to Olly Murs, Icona Pop and Robbie Williams, we get to our house tired, excited and sick of the sight of each. It is, by now, sometime in the evening so we do what everyone does when they go on holiday to France – we head out for Pizza. 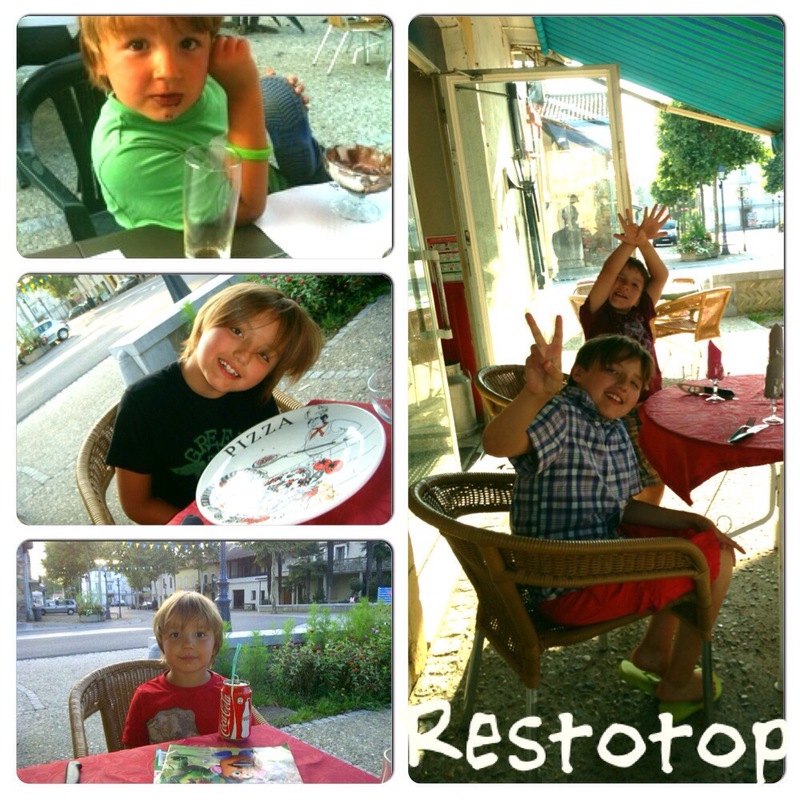 We have been eating Pizza at Restotop – a shabby on the outside, top pizzas on the inside – local restaurant since Sebastian was so little they used to bring him a booster seat just to reach the table. Serge the owner (another Serge – it’s confusing I know) greets us like long lost relatives on arrival, probably as, since buying our house we’ve racked up around 100 visits to Restotop bringing large groups of friends with us each time so in essence have possibly doubled his profits. And a quick flick back through my photo stream shows dozens of photos of the White Family eating pizza and drinking diet coke or Pression or Rose (delete as appropriate) outside Restotop. 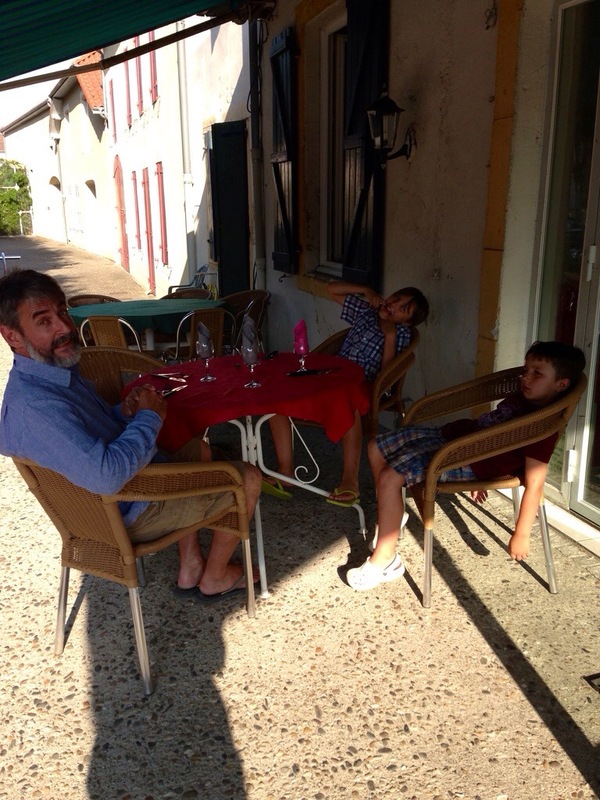 And the children have gone from throwing tantrums in there (Seb aged three), to smashing glasses (Seb aged three and a half), to learning french for mint ice cream (Seb aged 5) to sauntering over to Serge at the end of our meal and asking, in French, for the bill (Arthur aged 10). They’ve also boldly expanded their pizza ordering from margarita with olives to Calzone with mushrooms and a runny egg. And there is something very reassuring about arriving at a restaurant when you are tired and emotional and having someone say ‘Bon soir’ and kissing you. And so the tradition sticks – first night equals Restotop night. And then we do it all again on the last night too. The Restotop bookends we call them. And its not a holiday if we haven’t done this. Even though its not french, its not quaint and its not very pretty. The pizzas are delicious and the kids love it and secretly we do too. In fact, the only sad bit about our final visit to Restotop is it means the holiday is over….. This entry was posted in cooking, french cooking, holidays and tagged holiday selfie, maubourguet, restotop pizza by vicawhite. Bookmark the permalink. 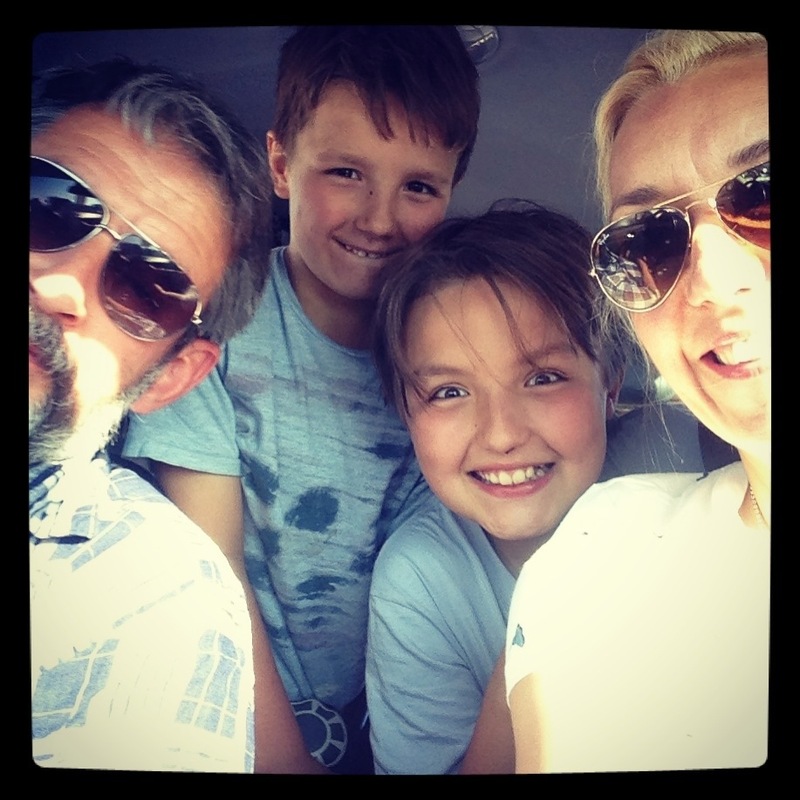 Great selfies, amazing to get a family in one place long enough to do!